For an Asphalt or Concrete Paving Contractor. Remember, It’s what’s underneath that counts! Bortolo & Sons is your best choice when it comes to an asphalt driveway paving contractor. Our decades of experience and commitment to quality is evident throughout the process. 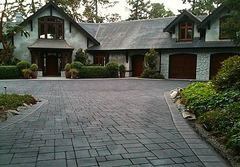 We offer a turnkey service where we can remove your old driveway, pave in your new one and leave the site as clean and far more beautiful than it was when when we began. A new concrete driveway will add both beauty and value to your home. Bortolo & Sons paving is your best choice for concrete driveways, whether you’re looking for plain concrete or any number of stamped pattern, custom colour, or aggregate textured options. Our decades of experience and commitment to quality ensure your project will progress smoothly from start to finish. Whether it’s a large and complex new construction project or a quick repair job, we will get it done on time and on budget. We also offer routine maintenance contracts that let you sit back knowing that your property will be well taken care of by our dedicated team of professionals. Find out why we should be your number one choice for an asphalt and concrete paving contractor and contact us today. 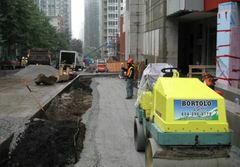 Bortolo & Sons hard landscaping services is who to turn to when you need a pathway, patio, retaining wall, or any other type of landscape architecture or garden design feature. We’ve been doing this kind of thing for decades and have both the experience and the knowledge to ensure your next landscaping project is done right. Ask us for our input and we can recommend a number of different colour, pattern and texture options to make your project truly unique and add both beauty and value to your home or commercial property. 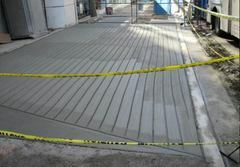 We are a paving company with more than 50 years of experience in the sector. We offer a wide range of asphalt and concrete paving services including residential, commercial, hard landscaping and sport courts. We are committed to ethics, integrity and professionalism. We guarantee clients’ satisfaction by bringing on board only highly qualified professionals and paying strong attention to details. The management team is always present in all our sites. 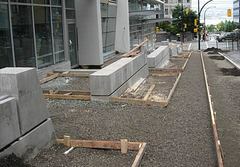 We are based in Burnaby, BC, and we extend our services thorough the Lower Mainland. Call us or send us an email if you need a free estimate.